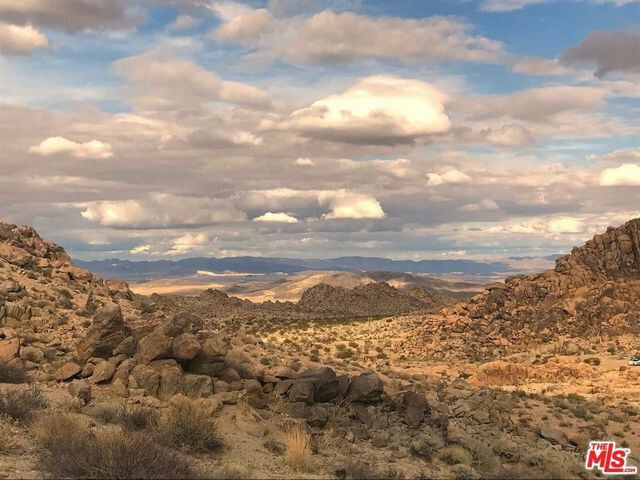 The Mojave Desert attracts artists and celebrities looking for a pure, pristine, and private environment in the middle of a desolate landscape. But you don’t have to be a star to take part in this desert migration— you simply need vision, deep pockets, and appreciation for beauty. Behold the Starburst. 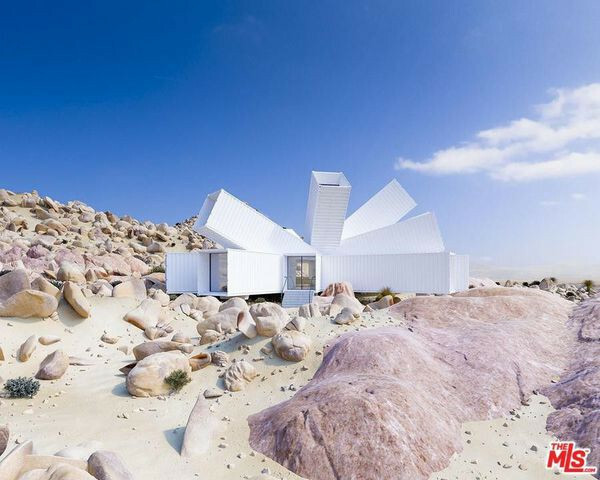 This remarkable (and yet unbuilt) home has been designed and commissioned from London-based Whitaker Studios. All that remains for it to become a reality is for a buyer to plunk down $2.35 million and have the patience to wait for it. 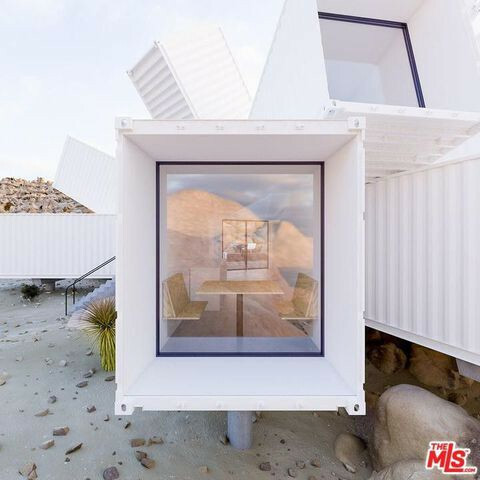 This unique shipping container home, plus the 22.5 acres it sits on, recently appeared on the market—and it’s not a mirage. But first, the backstory. 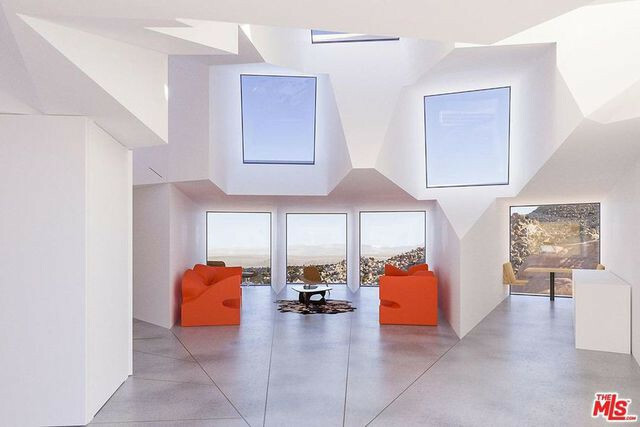 A little over a year ago, a pair of film producers (and architectural aficionados) commissioned architect James Whitaker to design this starburst-shaped home, made with shipping containers bursting out in all directions from a central point. 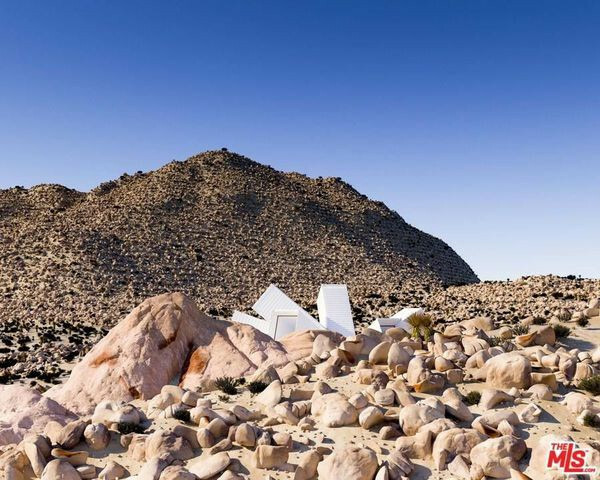 It was slated to be part of a compound of experimental design structures on their hundred-acre property just outside Joshua Tree National Park. But after building a larger, 5,500-square-foot cantilevered home, they decided the Starburst would be too small for their needs. So they carved out 22.5 acres from their parcel and are marketing the land as the ideal setting for the proposed three-bedroom, two-bath, 2,100-square-foot container home. Construction can begin as soon as the ink is dry and a new buyer decides where to place it on the land, explains co-listing agent Guy Reid of Engel & Volkers. There are several homesites on the property. Some are elevated, which would offer views, while others are in valleys, which would ensure more privacy. Either way, the home is designed to take optimal advantage of light and views from all directions. As sketched out, the interiors will be simple with concrete flooring, white walls, and minimal furnishings. According to the agent, outdoor decks, solar panels on the roof of a structure covering the parking area, and a spa tub will likely be incorporated into the plan. The containers will be cut to specification, then welded together. 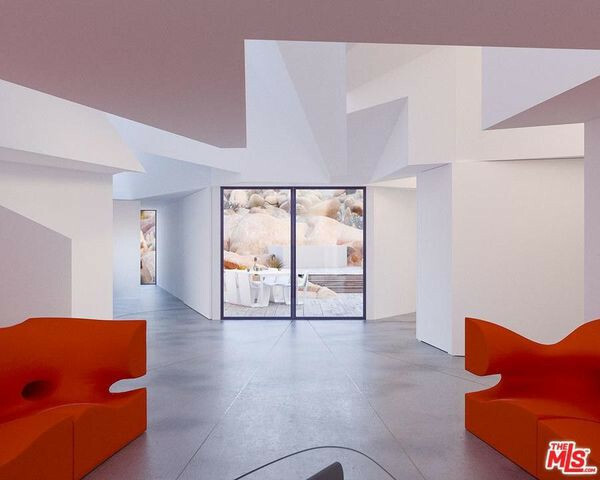 “It appeals to those interested in a unique, light-filled space with spectacular views, and also interested in recycling and repurposing,” adds Reid. 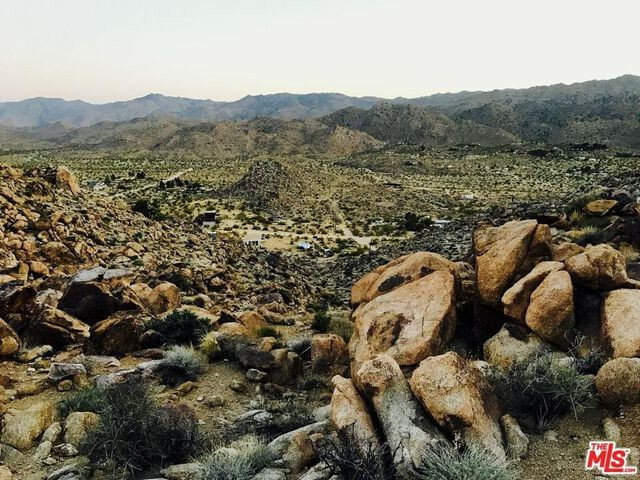 Just three hours outside of Los Angeles, the proposed home would be the ideal getaway to do some serious stargazing.